The Ordinary Life of an Extraordinary Girl: My great story and more! My great story and more! 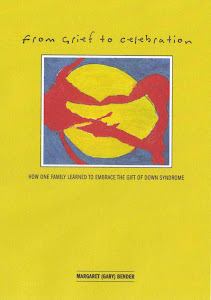 In my on-going effort to promote my book I approached the National Down Syndrome Society. The woman I spoke with was very gracious and agreed to consider my book for their website. You can buy it right here on this website for only $13.99, the link is to the right and it is a GREAT book. 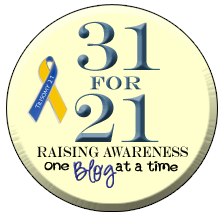 As part of my communications with NDSS I was introduced to an initiative that is under way to create stories of and from people with down syndrome from across the world. I submitted a story about Alex , "The Rock Star". The project is incredible and each of the stories inspirational and educational. Please consider submitting your own story - and also voting for Alex's! Here is some contact information for NDSS and the My Great Story Campaign. LOVE the rock star! Alex you rock ... Jessie intend to travel with the Jonas Brothers on their tour bus. She will be there lyricist ... she has it all planned out too see http://dsbutterfly.blogspot.com/2010/06/retro-jessie-best-laid-plans-jonas.html !!!! Thanks for the link to the my great story site. What a wonderful idea... I'll get Jessie to read Alex's rock star story! I'm in the book but haven't had a chance to write about it (I think :). I tweeted it and my family responded but I'd forgotten I did it- it's crazy here! I'll go look for yours! I was thinking of the mass DSC. They have a conference coming up and I'm wondering how to get on that band wagon for you! Speaking of which I need to go sign up!